Striking a tasteful balance of contemporary style and casual comfort, this chair and ottoman set will create a welcoming tone in any living room. 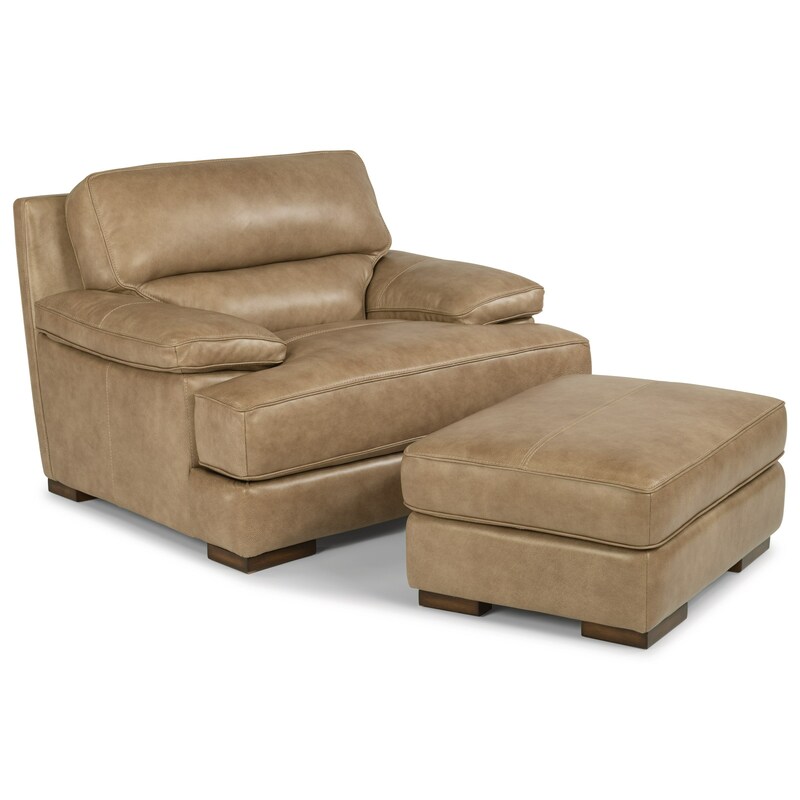 A wide and deep seat, padded pillow arms and a channeled back cushion will invite you to relax after a long day while the smooth leather texture and short block feet provide an updated look that is just the right amount of modern. Available in six leather covers, this chair and ottoman set is bound to be a perfect fit for your home. The Latitudes - Jade Casual Contemporary Leather Chair and Ottoman Set by Flexsteel at Virginia Furniture Market in the Rocky Mount, Roanoke, Lynchburg, Christiansburg, Blacksburg, Virginia area. Product availability may vary. Contact us for the most current availability on this product. The Latitudes - Jade collection is a great option if you are looking for Casual furniture in the Rocky Mount, Roanoke, Lynchburg, Christiansburg, Blacksburg, Virginia area. Browse other items in the Latitudes - Jade collection from Virginia Furniture Market in the Rocky Mount, Roanoke, Lynchburg, Christiansburg, Blacksburg, Virginia area.